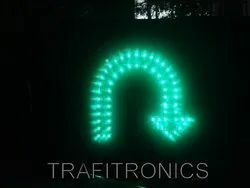 Leading Wholesale Trader of yellow arrow straight, led u tern arrow green and green arrow traffic signal from Pune. 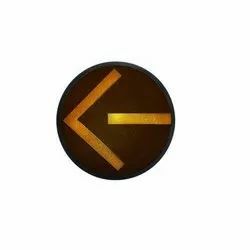 Amber Yellow Arrow Straight signals manufactured by us is made of LED and is a fabricated from a genuine quality raw material that is again, designed to enhance the safety measure in controlling wide traffic and applied in directing the turning road. Our range of Amber Arrow Right is very precisely engineered to make sure efficiency, reliability and durability. Moreover, we offer this Amber Arrow Right range at the most reasonable prices that are prepared under the stringent supervision of our expert team. Packaging Details: Product has packed in Corrugated box,with tapped locking strip and wrapped by water clear plastic carton box,bubble paper. We are committed to offering a broad and effective range of LED Green Arrow Straight products that are well-known for their optimum functionality. The effective use of quality components and advanced techniques are used in its formulation process that enables us to offer flawless range and also and also supports to meet the entire requirements of our clients that are made available at most competitive prices. 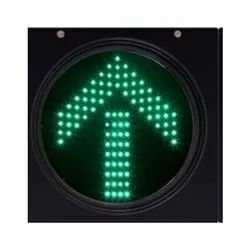 Looking for TRAFFIC SIGNAL ARROWS ?